Drive to Paradise section of the Park and hike one of the many trails there. The marmots are common. 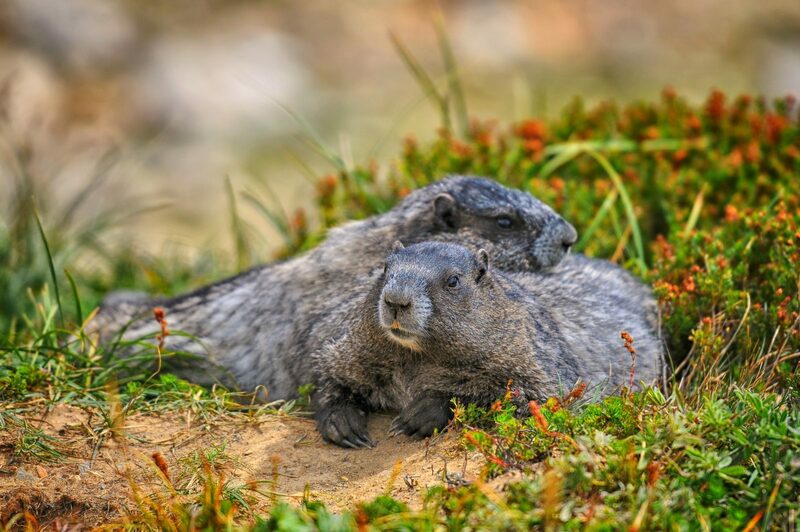 A couple of Hoary Marmots cuddle together along Rainier's Skyline Trail.